Field ID Online Inspection & Testing reports including full asset tracking. Hand Splicing of Eyes and Joins of Wire Ropes and Fibre Ropes. On site Roll Swaging of Stainless Steel Wire Rope. On site measure ups for Lifting Gear, Crane Ropes and Access/Height Safety Systems. We have strong alliances with national and international companies which enables us to source equipment that some of our competitors find difficult to source. This is in addition to being members of the Global Lifting Group, which gives us exceptional access to a huge range of equipment and services. Close relationships with local engineering firms and non-destructive testing companies means we can offer a “complete service” to our customers, from the design stage right through to Load Testing and Certification, complete with Non-Destructive Weld Testing. Read more about us and our product range. 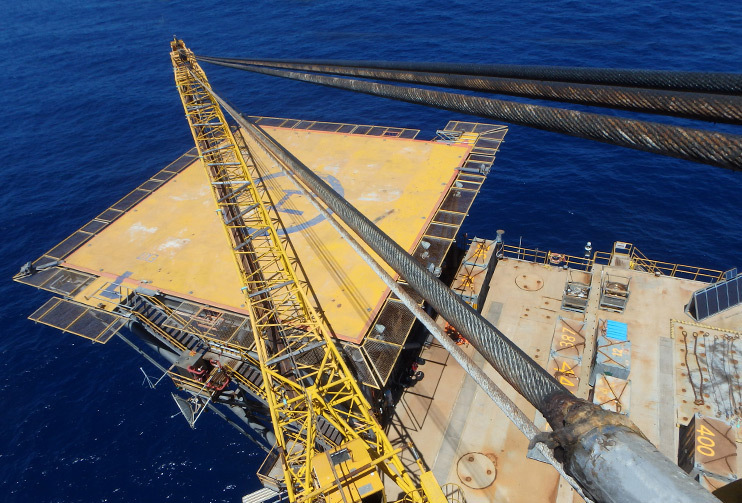 See our gallery of work with some of our rigging and lifting clients.